I hope you all had a great Christmas and have managed to return to feeling less stuffed. So it wasn’t a White Christmas here but we did see some snow on the higher routes on Boxing Day morning. As you’ve probably seen, we missed out on another snow event last night as a band of heavy rain mixed with the cold air further south and brought chaos to some of the motorway and road networks. When will it be our turn? 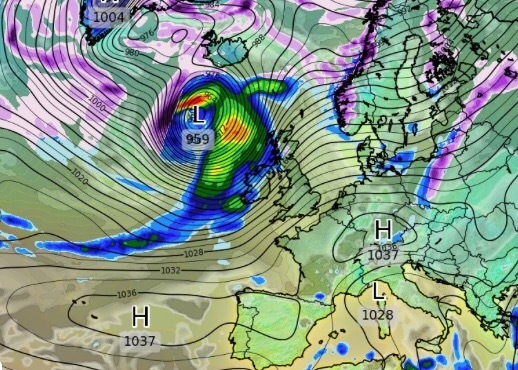 Outlook: Staying lively as the Jet Stream gathers pace, with rain and windy spells at times. 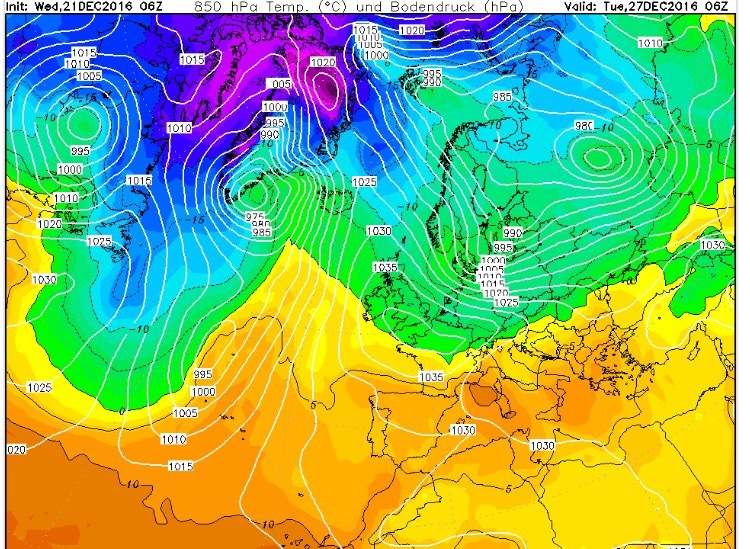 Mostly mild but colder spells in between low pressure systems. Finally, thanks for all your tweets and support this year. I wish you all the very best for 2018, have a good one! Follow on Twitter at @ChadWeather. Hourly weather data at @OldhamWxStats. Weather data every minute at https://www.wunderground.com/personal-weather-station/dashboard?ID=IOLDHAMC2. Forecast Issued at 12:25pm on Wednesday the 27th of December 2017. So far December has been a month of variations and, as of the 19th, we are colder and drier than average. With the recent snow and bitterly cold temperatures some of us might be hoping for a White Christmas. It’s not going to happen this year folks. Outlook: Colder at times but with spells of rain and possible gales coming in from the west. Don’t rule out another named-storm before we see out 2017. Finally, I wish you all a very Merry Christmas and all the best for 2018! Sorry it’s a day late. Well what a busy few days that was, and nice to see some snowfall in the early stages of winter. It was a shame (a lot were relieved) that Sunday’s snowfall, which would have been 6 inches or more, ended up further south. Maybe next time….. Weekend: Saturday’s the better day. Outlook: Staying milder than recently with temperatures close to double-figures and with it plenty of cloud which brings a chance of hill-fog and some drizzle or light rain. 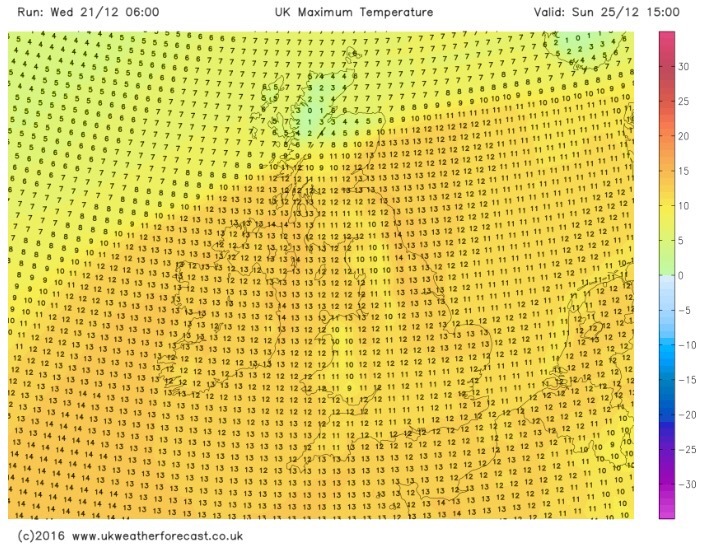 Look out on Twitter for forecasts for Christmas Day. Early thoughts are, no chance of a White Christmas.